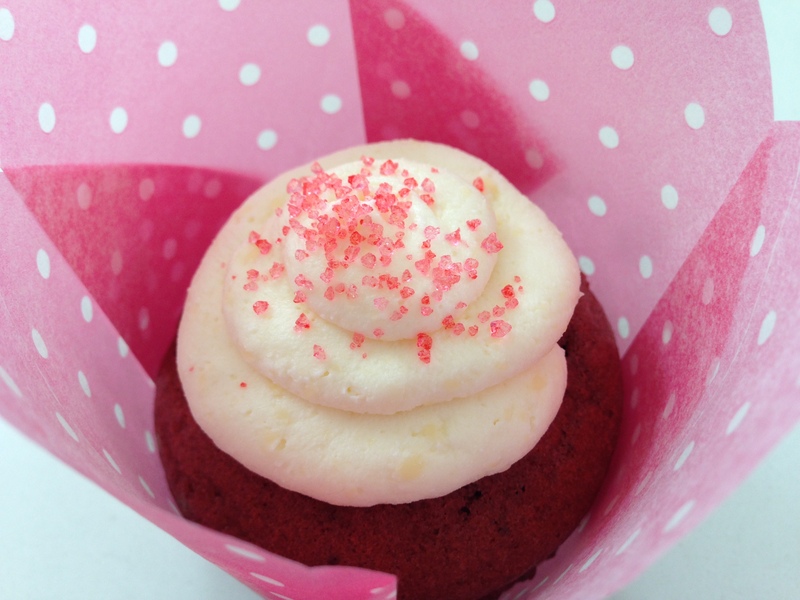 red velvet cupcake with cream cheese frosting | what is clara eating today? To make the cupcakes, mix all the dry ingredients in a bowl. Add the wet ingredients to the dry mixture and mix well. Evenly divide in each cupcake mold lined with cupcake liner. Bake at 350 for 15-17 minutes for regular cupcakes and 13 minutes for mini cupcakes. Let them cool on wire rack before frosting. For frosting, mix cream cheese and butter until smooth. Mix in Truvia. Can I substitute vanilla extract for the vanilla flavor? I don’t have this product.